It was on this date in 1633 that Galileo Galilei was sentenced to life imprisonment by the Inquisition for heresy, ostensibly for attempting to argue that the sun stood still and the earth revolved around it. What has become known as the “Galileo Affair” has been cast by historians and the general public as a classic case of a rational scientist who was right being punished by a superstitious and ignorant church that was wrong. As is very common in popular conceptions of history, this is a serious misinterpretation of events. Let me see if I can shed some extra light on the affair. In the process you will see that Galileo’s enemies were mostly fellow scientists at first and not the church, Galileo held a number of scientific beliefs that were wrong, many high church officials supported Galileo, Galileo went out of his way to alienate the church, and his punishment was not particularly severe given what could have happened to him. In a nutshell I would characterize the affair as a classic case, very common in the era, of a brilliant person being at first favored by patrons who subsequently turned against him for one reason or another. It happened to politicians, artists, musicians, and scientists. I will begin by saying that the affair was quite protracted, beginning in 1610 when Galileo published his Sidereus Nuncius (The Starry Messenger), describing the surprising observations that he had made with the new telescope, including the phases of Venus, mountains on the moon, and the Galilean moons of Jupiter. I should dispel some common folklore here. 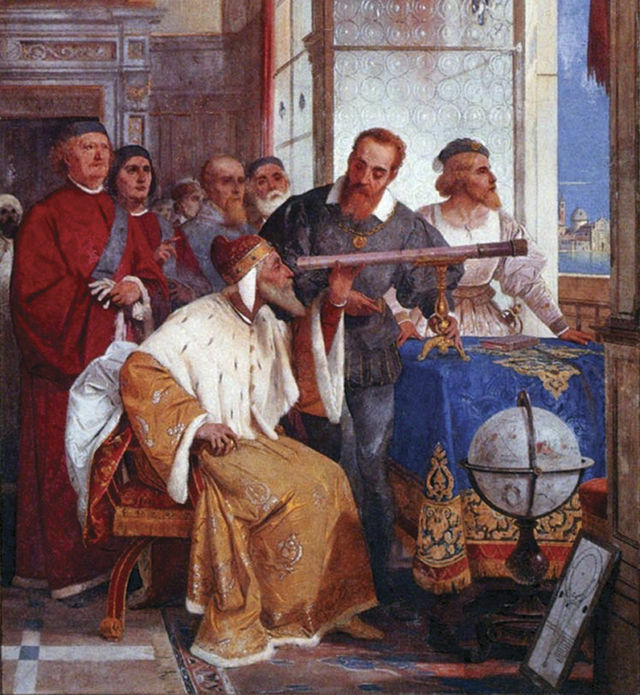 Galileo did not invent the telescope, nor was he the first person to use one to observe the sky, although it was initially used primarily in warfare to observe enemy movements. 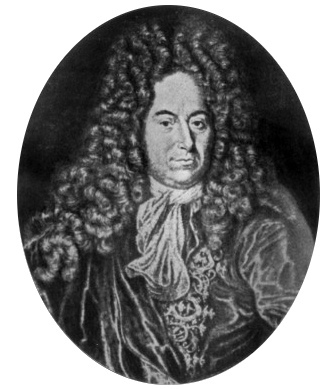 What he did do was improve on the design significantly so that he had an instrument with 30x magnification, and, thus, able to observe things no one had ever seen before. 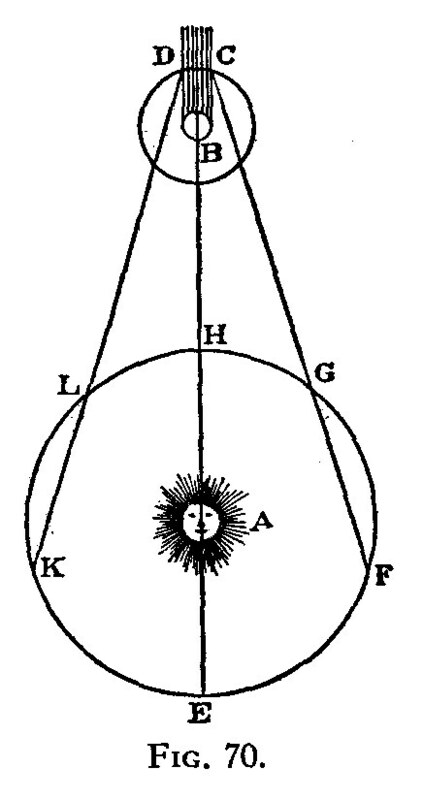 Using these observations Galileo promoted the heliocentric (sun-centered) theory of the solar system of Nicolaus Copernicus, published in De revolutionibus orbium coelestium (The Revolutions of Heavenly Bodies) in 1543. The Starry Messenger caused great difficulty in the scientific community because it contradicted the accepted wisdom of the day as laid down by Aristotle, and also Ptolemy. Aristotle believed that all heavenly bodies revolved around the earth, that the moon was a smooth sphere, and that the stars were located on a transparent sphere that revolved around the earth and were all the same distance from the earth. These were reasonable assumptions at the time because they fit the observable facts, and because there were no scientific theories that would have been able to explain otherwise. When astronomers, such as Kepler, Copernicus, and Tycho Brahe, all of whom preceded Galileo, proposed heliocentric theories, they were doing so for mathematical neatness, not because they had proof. Galileo did not really have proof either. What he did was supplement the ideas of his forebears with additional observational evidence that fit their theories better than Aristotle’s. It was not until Isaac Newton, a generation later than Galileo, proposed his theories of inertia and gravitation that all the pieces were in place to replace geocentric (earth-centered) theories of the solar system with the heliocentric one. Let me be very clear here. I am not denigrating Galileo as a scientist. I believe he is quite fairly dubbed “the father of physics” by such luminaries as Albert Einstein and Stephen Hawking. He was scrupulous in his observations, he created invaluable principles of scientific method that have been used ever since, and he did not allow theories to stand that were not supported by empirical observation. 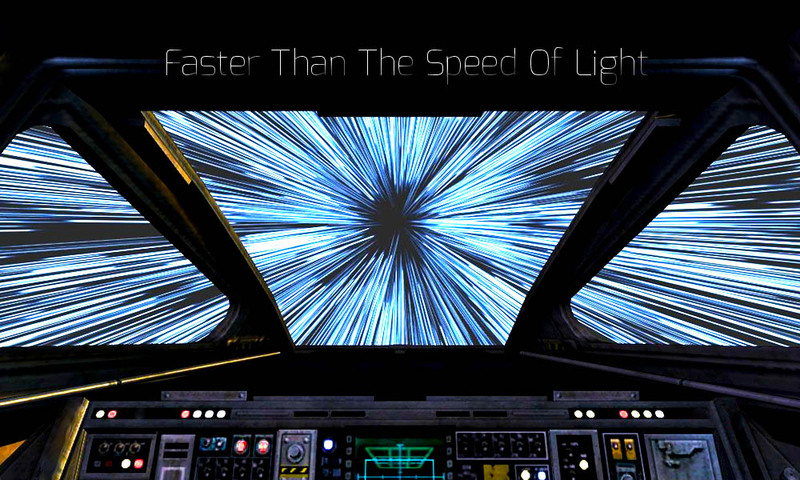 He did, however, overreach when it came to the motion of the earth. He did, indeed, prove that Aristotle was wrong; he did not prove that Copernicus was right. As I have taught all my professional life, proof is a tricky thing and hinges on the rules you are playing by. For every scientific observation there are MULTIPLE explanations. Which you pick depends on a number of factors. Generally you go with the theory that fits the best; but there are always messy bits that your theory cannot account for. Galileo’s observations were a gigantic nuisance for the scientists of his day, and for the church which supported them, because Aristotle was their guiding light. They were actually less of a nuisance for the church in regard to Biblical teaching because the Bible does not definitively say anything about the absolute motions of heavenly bodies. It uses the same language that we use, such as, “the sun rises” or “the stars move across the sky.” We say those things without believing the earth is the center of the universe. Aristotle, a pagan, was the problem. My dear Kepler, I wish that we might laugh at the remarkable stupidity of the common herd. What do you have to say about the principal philosophers of this academy who are filled with the stubbornness of an asp and do not want to look at either the planets, the moon or the telescope, even though I have freely and deliberately offered them the opportunity a thousand times? Truly, just as the asp stops its ears, so do these philosophers shut their eyes to the light of truth. Can’t fault him there. There are closed-minded people in every generation. Not sure about the asp closing its ears though. I’ll let it slide. At this time, Galileo also engaged in a dispute over the reasons that objects float or sink in water, siding with Archimedes against Aristotle. The debate was unfriendly, and Galileo’s blunt and sometimes sarcastic style, though not extraordinary in academic debates of the time, made him enemies. During this controversy one of Galileo’s friends, the painter, Lodovico Cardi da Cigoli, informed him that a group of malicious opponents, which Cigoli subsequently referred to derisively as “the Pigeon League,” was plotting to cause him trouble over the motion of the earth, or anything else that would serve the purpose. According to Cigoli, one of the plotters had asked a priest to denounce Galileo’s views from the pulpit, but the latter had refused. One of the first suggestions of heresy that Galileo had to deal with came in 1613 from a professor of philosophy and specialist in Greek literature, Cosimo Boscaglia. 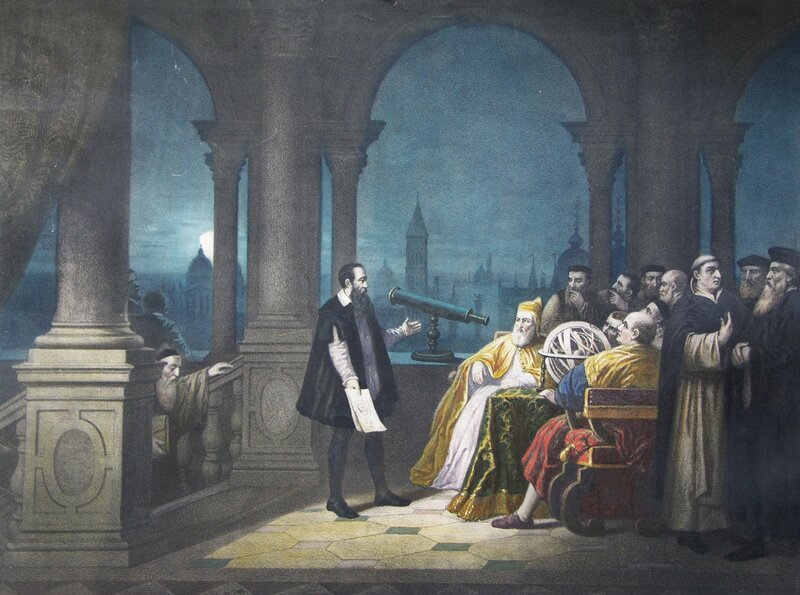 In conversation with Galileo’s patron Cosimo II de’ Medici and Cosimo’s mother Christina of Lorraine, Boscaglia said that the telescopic discoveries were valid, but that the motion of the Earth was obviously contrary to Scripture. Galileo was defended on the spot by his former student Benedetto Castelli, now a professor of mathematics and Benedictine abbot. Galileo decided to write a letter to Castelli, expounding his views on what he considered the most appropriate way of treating scriptural passages which made assertions about natural phenomena. Later, in 1615, he expanded this into his much longer “Letter to the Grand Duchess Christina” (an open letter which was the equivalent of a publication). Tommaso Caccini, a Dominican friar, appears to have made the first dangerous attack on Galileo. Preaching a sermon in Florence at the end of 1614, he denounced Galileo, his associates, and mathematicians in general (a category that included astronomers). The biblical text for the sermon on that day was Joshua 10, in which Joshua makes the Sun stand still. In late 1614 or early 1615, one of Caccini’s fellow Dominicans, Niccolò Lorini, acquired a copy of Galileo’s letter to Castelli, and publicly questioned its orthodoxy. 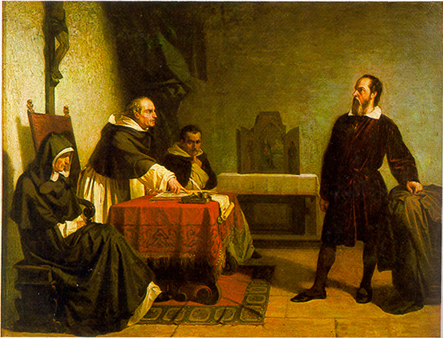 In consequence Lorini and his colleagues decided to bring Galileo’s letter to the attention of the Inquisition. In February 1615 Lorini accordingly sent a copy to the Secretary of the Inquisition, Cardinal Paolo Emilio Sfondrati, with a covering letter critical of Galileo’s supporters. What we see, therefore, is not Galileo standing alone against the church, but, rather, two factions within the church in deadly conflict. On March 19, Caccini arrived at the Inquisition’s offices in Rome to denounce Galileo for his Copernicanism and various other alleged heresies supposedly being spread by his pupils. Galileo soon heard reports that Lorini had obtained a copy of his letter to Castelli and was claiming that it contained many heresies. He also heard that Caccini had gone to Rome and suspected him of trying to stir up trouble with Lorini’s copy of the letter. As 1615 wore on he became more concerned, and eventually determined to go to Rome as soon as his health permitted, which it did at the end of the year. By presenting his case there, he hoped to clear his name of any suspicion of heresy, and to persuade the Church authorities not to suppress heliocentric ideas. In going to Rome Galileo was acting against the advice of friends and allies, and of the Tuscan ambassador to Rome, Piero Guicciardini. 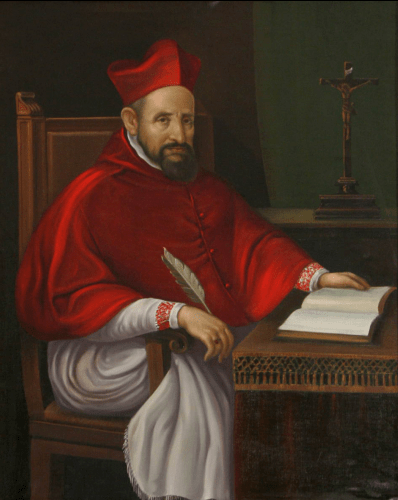 Robert Cardinal Bellarmine, one of the most respected Catholic theologians of the time, was called on to adjudicate the dispute between Galileo and his opponents, both religious and secular. The question of heliocentrism had first been raised with Cardinal Bellarmine, in the case of Paolo Antonio Foscarini, a Carmelite father. Foscarini had published a book, Lettera … sopra l’opinione … del Copernico, (Writings on the the opinions of Copernicus) which attempted to reconcile Copernicus with the biblical passages that seemed to be in contradiction. Bellarmine at first expressed the opinion that Copernicus’ book should not be banned, but would at most require some editing so as to present the theory purely as a mathematical device and not as a theological opinion. In fact the church had used Copernicus in the 16th century to rectify errors in the calendar. Bellarmine’s position regarding Galileo and Copernicus was subtle and complex. If I can distill its essence, he argued that you have to have conclusive proof that scriptural statements are in error. Without such proof you have to side with the Bible. But, if conclusive proof exists, theologians must reconsider their positions, and find some way to reconcile the Bible with science. This seems to me to be a reasonable position to take, given the times, and the fact is that neither Galileo nor Copernicus had conclusive proof. What they had were increasingly troubling observations, which were much more damaging to Aristotle than to the Bible. Galileo himself conceded that his evidence was not sufficient to overturn Aristotle and the Bible on the question of geocentrism versus heliocentrism, although it strongly favored the latter. On February 19, 1616, the Inquisition asked a commission of theologians, known as Qualifiers, about the propositions of the heliocentric view of the universe. Historians differ as to why the Inquisition took up the matter. Some believe that it was inevitable because of the conflict between heliocentrism and the Bible; others believe it was brought about because Galileo was so publicly aggressive in his support of heliocentrism, and so sarcastically condemnatory of its opponents. Perhaps if he had been more tactful, the matter might have rested. I don’t know. On February 24 the Qualifiers delivered their unanimous report: the idea that the Sun is stationary is “foolish and absurd in philosophy, and formally heretical since it explicitly contradicts in many places the sense of Holy Scripture.” Curiously the original document was not released for public scrutiny until this year (2014). The Vatican has always taken the position that the condemnation of Galileo was justified to a degree. 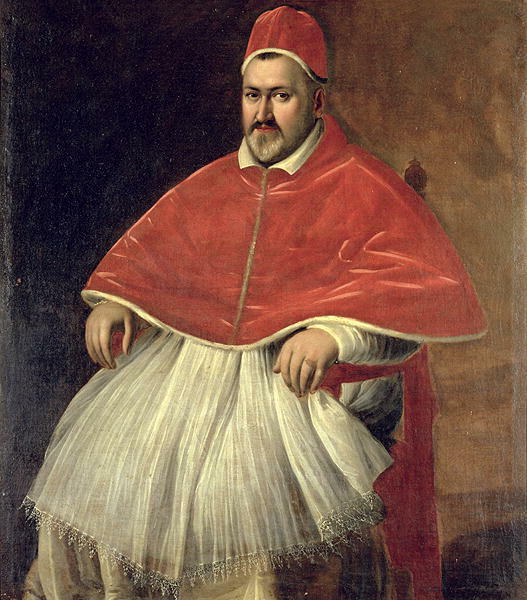 At a meeting of the cardinals of the Inquisition on the following day, Pope Paul V instructed Bellarmine to deliver this result to Galileo, and to order him to abandon the Copernican opinions. Should Galileo resist the decree, stronger action would be taken. 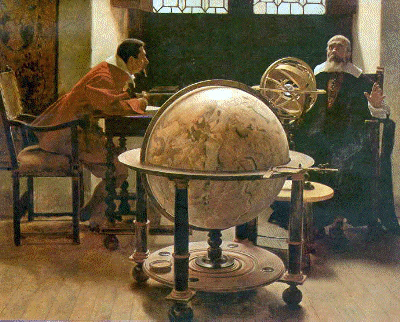 On February 26, Galileo was called to Bellarmine’s residence and ordered, “to abstain completely from teaching or defending this doctrine and opinion or from discussing it… to abandon completely… the opinion that the sun stands still at the center of the world and the earth moves, and henceforth not to hold, teach, or defend it in any way whatever, either orally or in writing.” Following the Inquisition’s 1616 judgment, the works of Copernicus, Galileo, Kepler and others advocating heliocentrism were banned. With no attractive alternatives, Galileo accepted the orders delivered, even sterner than those recommended by the Pope. Galileo met again with Bellarmine, apparently on friendly terms; and on March 11 he met with the Pope, who assured him that he was safe from persecution as long as he, the Pope, should live. Nonetheless, Galileo’s friends Sagredo and Castelli reported that there were rumors that Galileo had been forced to recant and do penance. To protect his good name, Galileo requested a letter from Bellarmine stating the truth of the matter. This letter assumed great importance in 1633, as did the question whether Galileo had been ordered not to “hold or defend” Copernican ideas (but which would have allowed their hypothetical treatment) or not to teach them in any way. If the Inquisition had issued the order not to teach heliocentrism at all, it would have been ignoring Bellarmine’s position. In the end, Galileo did not persuade the Church to stay out of the controversy, but instead saw heliocentrism formally declared false. It was consequently termed heretical by the Qualifiers, since it contradicted the literal meaning of the Scriptures, though it is important to note that this position was not binding on the church. Just in case you are lost at this point, justifiably, let me sum up. The saner leaders within the church were aware of the usefulness of Copernican theory in calendric calculations and of the validity of Galileo’s observations. But they were not about to bring all of society crashing down around their ears by denying the validity of the Bible without more conclusive proof. Their solution had been a cautious middle way, namely, treat heliocentrism as purely hypothetical. But when push came to shove, the church was forced to side with the Bible against Copernicus in its formal pronouncements. Here’s where Galileo made a fatal political gaff. Pope Urban encouraged Galileo to write the Dialogue on the proviso that his opinions be included. Galileo did, indeed, include the pope’s point of view, but in the mouth of Simplicio where they were mercilessly ridiculed by Sagredo and Salviati. Not a smart move. With this act Galileo lost almost all support from his defenders in Rome, not because they had changed their opinions regarding science, but because they were pragmatists. These were the days of Machiavelli and the Medicis when political rivals were quietly bumped off. 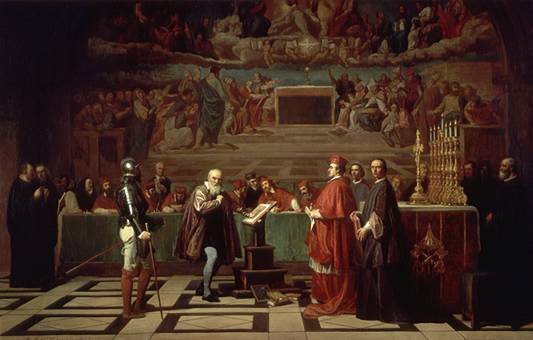 Subsequently Galileo was ordered to stand trial on suspicion of heresy in 1633. Galileo was interrogated while threatened with physical torture. A panel of theologians, consisting of Melchior Inchofer, Agostino Oreggi and Zaccaria Pasqualigo, subsequently reported on the Dialogue. 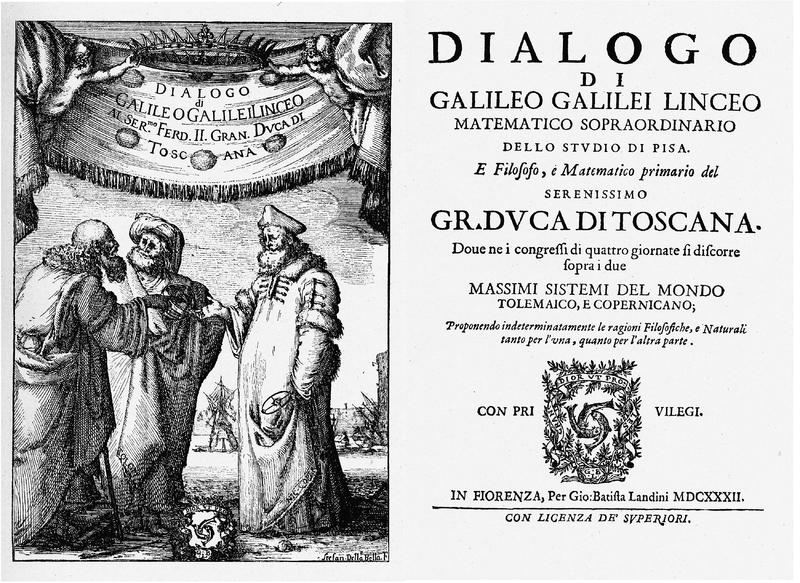 Galileo had thought to escape the heresy charge by casting the book in the form of a dialogue – that is, he was trying to escape the accusation of advocating heliocentrism personally (which he had been banned from doing), by presenting BOTH sides of the argument. In theory the Dialogue was supposed to be a “fair and balanced” treatment.But his blatant ridicule of Simplicio made it clear what side he was on, and the panel concluded that the Dialogue strongly advocated heliocentrism – a fair conclusion. 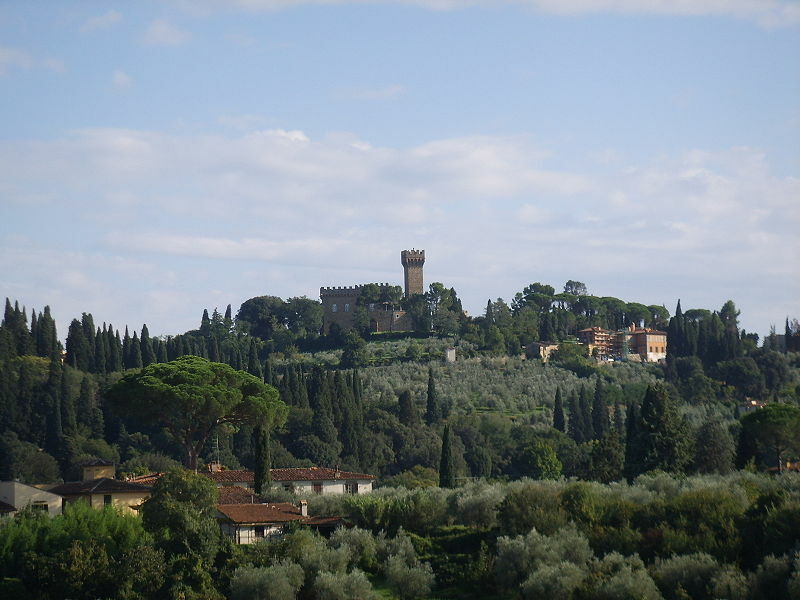 After a stay with the friendly Archbishop Piccolomini in Siena, Galileo was allowed to return to his villa at Arcetri near Florence, where he spent the remainder of his life under house arrest. He continued his work on mechanics, and in 1638, he published a scientific book in Holland. In fact, Galileo did some of his best work in this period which would eventually lead to the science of the Enlightenment. The Inquisition could have been much harsher. They could have executed him, or locked him in a cell and thrown away the key. They did not. They left him alone, although publicly condemning him, and prohibiting him from traveling. My overarching point is that there was enough blame to go around for all parties involved. Egos and expediency trumped facts. Galileo did not have the necessary proof for heliocentrism, and some of his hypotheses, such as his explanation for the tides, were quite wrong. But he was stubborn and impolitic. The church was on shaky turf too, but was populated by equally stubborn men with powerful vested interests to defend. I don’t condone either side in this. My role here is merely to show that we must be wary not to cast this trial, or any other similar historical encounter, in simple black and white terms, such as characterizing it as a contest between a lone, brave scientist who was right versus an ignorant and superstitious church that was wrong. History resides in the grey areas. As a small postscript let me also point out that in hindsight we are not justified in saying that Galileo was right and the church was wrong scientifically. 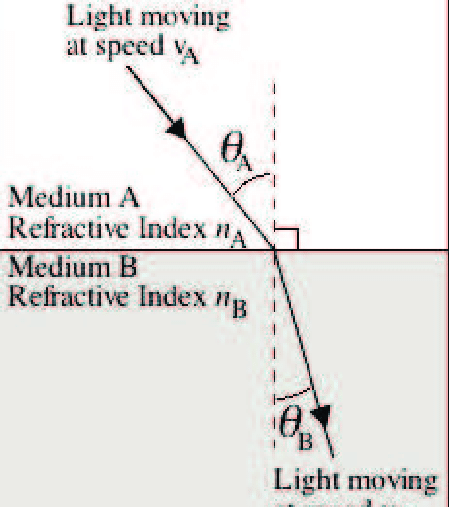 Einstein’s general theory of relativity argues that in the absence of an absolute frame of reference (which does not exist), it is no more correct to say that the earth goes round the sun as that the sun (and all the universe) goes around the earth. Both depictions are legitimate. Heliocentrism just makes the equations a little simpler. My recipe for the day is, aptly, a new discovery for me. It is taken from the classic cookbook by renowned papal chef, Bartolomeo Scappi (c. 1500-1577), Opera dell’ arte del cucinare, published in 1570. It contains over 1,000 recipes along with detailed instructions concerning cooking methods. My eye fell on some recipes for cardoons and artichokes (cardi, & carciofani), simply because I had never heard of cardoons before – always learning. The cardoon is a plant related to the artichoke, but cultivated for its edible leaf stems rather than its flower bulb (as the artichoke is). 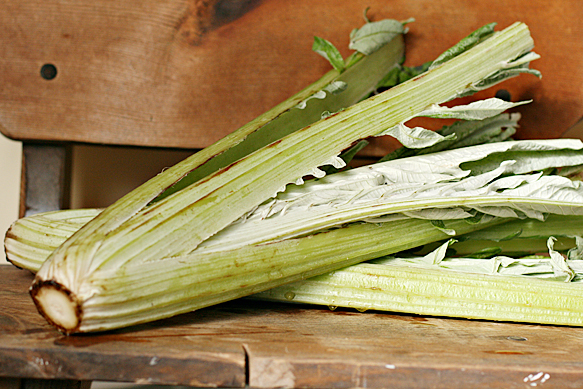 Cardoon leaf stalks, which look like large celery stalks, can be served steamed or braised, and have an artichoke-like flavor. They are harvested in winter and spring, being best just before the plant flowers. In the Abruzzi region of Italy, Christmas lunch is traditionally started with a soup of cardoon cooked in chicken broth with little meatballs (lamb or, more rarely, beef), sometimes with the further addition of raw egg (which scrambles in the hot soup) or fried chopped liver and heart. Cardoons are also an ingredient in one of the national dishes of Spain, cocido madrileño, a slow-cooking, one-pot, meat and vegetable dinner simmered in broth. Piglisi il cardo nella sua stagione, liqual comincia in Roma da mezo Settembre, & dura per tutto Marzo, & habbianosi le parti piu tenere, & bianche delle coste, perchioche quelle che saranno rosse, & leggiere non son buone, mondinosi, & faccianosi stare in molle nell’acqua fredda per tre hore almeno, mutando loro l’acqua. Il che si fa per cavar loro l’amaritudine, & perche nello storcere che fanno vengono piu tenere. Il simile facciasi della parta diu tenerea del pedone, & lascinosi cuocere con brodo grasso di carne grassa nel modo che si cuoceno i finocchi nell’antescritto capitolo 207. Et se si vorranno prima perlessar con acqua semplice sarà in arbitrio, & cotti che saranno cuocanosi con esse carni. Ma essendo cotti solo con brodo, & cervellate gialle, se ne potranno coprir capponi, galline, & altri ulcellami, alessati con cascio, zuccaro, pepe, & cannella sopra. Si potrebbeno ancho stufare li detti cardi con diverse carni salate, & ucellami nel modo che si stufano le cipolle nel capitolo 209. Take cardoons in season, which starts in Rome in the middle of September and lasts all the way to March. Take the most tender part, the white of the ribs, because that which is red and soft is not good, peel them and let them soak in cold water for at least three hours changing the water periodically. You do this because it leaches out the bitterness, and because the cardoons unravel and become more tender. You can do the same with the most tender part of the foot [unclear meaning], and let them cook in the broth of fat meat in the way that one cooks fennel described in chapter 207. And if you want to first parboil them in plain water that is your decision, and when they are cooked [ that is, parboiled in water] cook them further with meat. They can be cooked with broth and yellow cervellate [sausage]. If you want to sauce capons, chicken, and other birds boil them then serve them with cheese, sugar, pepper and cinnamon sprinkled on top. 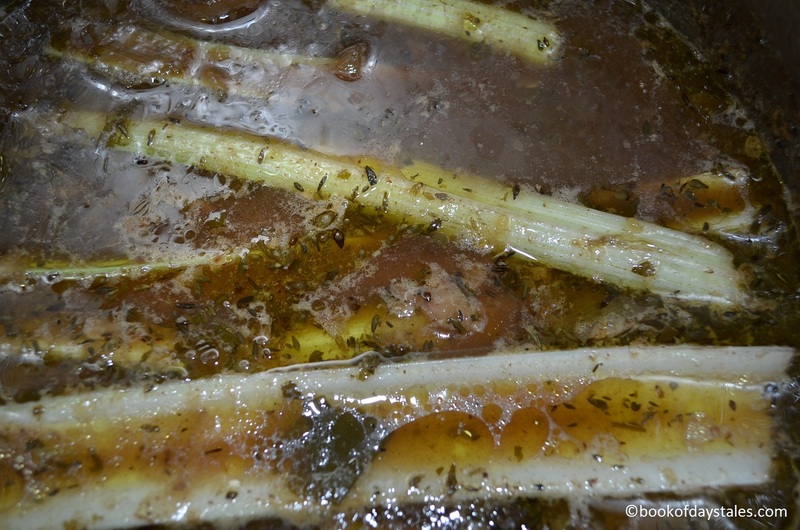 One can also stew cardoons with various salted meats and birds in the way that one stews onions in chapter 209. Not surprisingly I do not have a stalk of cardoons knocking around my kitchen, nor any notion of where I might find them in Buenos Aires. But I did have some Swiss chard in the refrigerator, and I think the stalks make a fair substitute. I did have a rich and fatty meat broth left over from some osso bucco I stewed a few days ago, however. So I poached the chard stalks in the broth to which I added freshly ground pepper and powdered cinnamon. Here is the result. I’d call it a qualified success. If I were not trying to replicate an old recipe I would probably do it a little differently. I’m not a fan of cinnamon in savory dishes. I’ll wait until I have real cardoons to experiment further. They can be grilled, broiled, baked, or breaded and deep fried as well as poached.